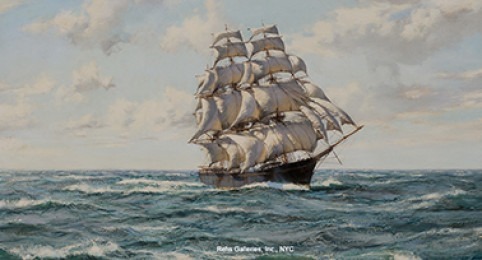 Art & Antique Dealers League of America » Rehs Galleries, Inc. The gallery has its roots in the early to mid 20th century. During the late 1930s / early 1940s M. Edwin (Eddie) Schillay, an accountant, counted among his clients an antique dealer with a shop in the Greenwich Village area of New York City. This dealer suggested that he consider entering the art or antique business; recommending that he travel to Europe, buy a group of paintings, have them packed and shipped to New York and then sell the works in bulk. Eddie arranged to rent space at the Manhattan Storage Warehouse and traveled to Great Britain to begin his new business venture. Once in the UK he acquired a selection of paintings, had them packed in a 7 x 7 x 10 foot container, these containers were called lift vans and held between 400-500 paintings, and shipped back to New York City via ocean freight. Once there, the container was brought to his warehouse space and sold in bulk. Eddies sideline business continued for more than a decade, during which time he made many important contacts both in the United Kingdom and United States. By the mid 1950s Eddies wife, Ruth, decided that she wanted to work in the art business and they rent a space at 303 Park Avenue South. Here, instead of selling the shipments in bulk to one individual, they opened the crates and began selling the paintings individually; the very early stages of the art gallery. In 1957 Eddie and Ruths daughter Ann married Joseph B. Rehs, an accountant. The firm was reputed to have bought out entire estates and large parts of auctions. Their style of purchasing was so grand that they were written up in The Bournemouth Times, Westbourne, England in November of 1958 when they purchased 60 paintings from one sale. In 1960 the gallery, which was importing between 6000 and 7000 paintings each year (one shipment per month), moved to a larger space at 386 Park Avenue South. The on hand inventory consisted of 2000 to 2500 paintings, mainly from the British Victorian period, and ranged in quality from the decorative to the collectable. This same year Eddie became ill and Joseph Rehs went to work in Eddies accounting firm; however, it did not take long for Joseph to see that there was more potential in the art business. By 1961 Joseph was working in the art business on a fulltime basis; traveling to Europe on buying trips, arranging shipments and building both their network of sources and customers. During this period Joseph remembers acquiring works by the British Victorian artist Oliver Clare, putting a frame on them and selling the package for $10; or the time he went out-on-a-limb and acquired a large figure painting by Frederick Morgan for $225 (£75) and sold it for $450  a huge profit; this same painting reappeared on the market in 2000 and sold for almost $1 million. In January of 1963 Eddie passed away and it was at this point that the firms name (originally known as M. Edwin Schillay) was changed to Schillay & Rehs, Inc. 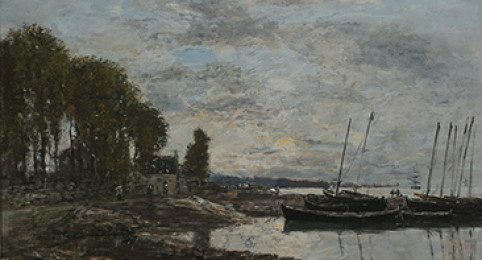 Throughout the 1960s and most of the 1970s the firm was one of the largest importers, to the trade, of 18th and 19th century European paintings. 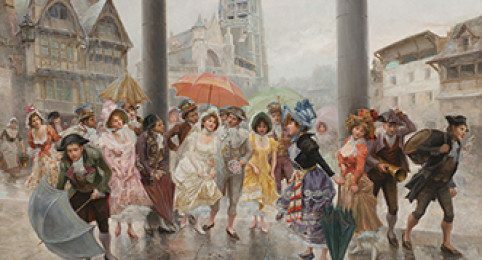 In addition to supplying many of the art galleries and furniture stores in the United States with art, they also held shows at a number of the larger department store chains; these included The J.L. Hudson Company and B. Altman & Company. In 1978 the gallery moved from its location at 386 Park Avenue South to a larger gallery location at 305 East 63rd Street. Here, while continuing its wholesale business, they also began catering to the interior design trade and their private clients. As demand for high quality 19th century European works of art increased so did prices. This, in turn, reduced the number of paintings the gallery could import on a regular basis and forced them to give up the wholesale business and concentrate on dealing with private buyers, collectors and museums. Howard L. Rehs, after graduating from New York University with a degree in Art History, joined the firm in 1981. His first year was spent living in London; during which time he both bought works for the gallerys inventory and studied the 19th century European painting market. 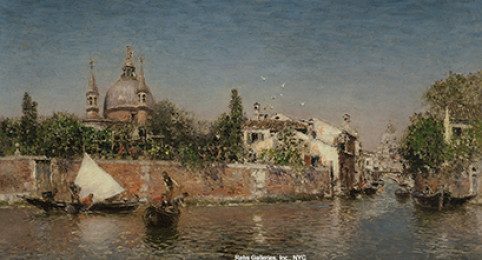 Upon his return to the United States a serious interest in French Academic, Realist and Barbizon art emerged and over the years more works by the masters from these schools entered the gallerys inventory. In 1991 Joseph bought out the last of the Schillay family members and the gallery changed its name to Rehs Galleries, Inc. It was also at this point that the gallery began working on the catalogue raisonné projects for Julien Dupré and Daniel Ridgway Knight. In 1995 the gallery moved from its 63rd Street location to its current location at 5 East 57th Street (8th Floor). This same year the gallery was elected a member of the Fine Art Dealers Association and two years later, 1997, Howard was elected President; a position he held until July of 2009. In 2003 the gallery began its Emile Munier online catalogue raisonné project and in 2007 the online project for Antoine Blanchard was launched; the latter has been headed up by Amy Rehs who stated working at the gallery on a part time basis a few years earlier. In 2008 Howard was appointed to the Internal Revenue Services Art Advisory Panel and the following year, 2009, Amys position became full time. Joseph, Howard and Amy were pleased to welcome the next generation to the gallery on Janaury 3, 2013. Alyssa Rehs, a recent Art History graduate from the University of Rhode Island, started her art dealing career. Then on March 4, 2013 Lance Rehs, a Finance graduate from Hofstra University, joined the firm. 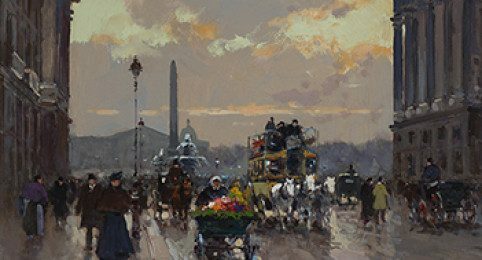 Today the gallery specializes in 19th and early 20th century European works of art and displays paintings many important Barbizon, Realist and Academic artists including: Eugene Boudin, William Bouguereau, Jean B.C. Corot, Federico del Campo, Montague Dawson, Julien Dupré, Daniel Ridgway Knight, Louis Aston Knight, Edouard Cortès, Emile Munier and Guy Carlton Wiggins. In addition the gallery features works by mid 20th century American artists such as Ilya Bolotowsky, Gen Paul, Jean Dufy and Maurice de Vlaminck and represents a number of Contemporary Realist artist, including Ben Bauer, Julie Bell, Todd M. Casey, Mark Daly, Anthony Mastromatteo, David Palumbo, Chris Pousette-Dart, John Stobart and Anthony Waichulis.